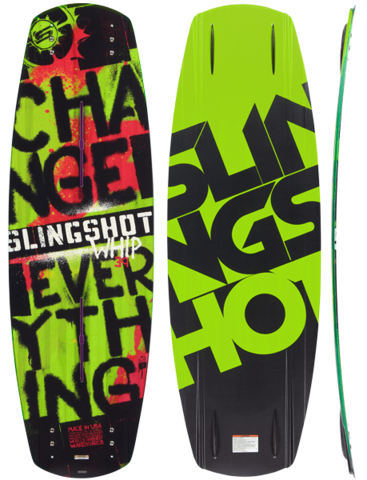 Slingshot Whip 143 Wakeboard Auslaufmodell, stark reduziert! With design input from cable master Steffen Vollert, the Whip features a custom channel design influenced by aerospace technology. It rides fast and focused while delivering a snappy release when it comes time to load air tricks at the cable. Molded channels throughout the tip and tail are designed to provide the perfect amount of grip for air tricks without sacrificing that finless feel that riders love on obstacles. For those who prefer additional grip, bolt on fins are optional. The whip is a truly diverse board designed for the all around wake park guru. 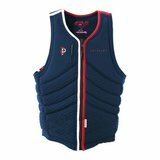 Ideal for riders who value controlled traction on edge, powerful pop, clean release off the water and those looking for ultra-efficient speed on and off edge.